What is Slab, Beam, Column, and Footing Construction? Home/ Building Technology Guide / What is Slab, Beam, Column, and Footing Construction? Clearly, buildings are composed of various structure elements such as slabs, beams, columns, and footings. Each of these structural members play certain role in a structure. This article presents various aspects of these structural members for instance their function, types of loads imposed on them, and load transfer mechanism from one member to another one. Slab is an important structural element which is constructed to create flat and useful surfaces such as floors, roofs, and ceilings. It is a horizontal structural component, with top and bottom surfaces parallel or near so. To read more about slab thickness evaluation please click here . 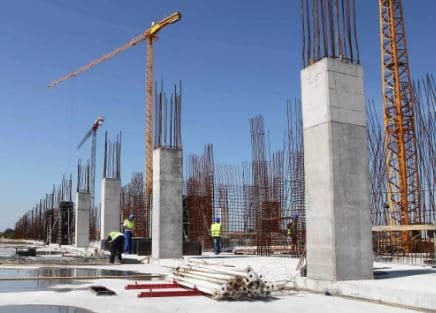 Commonly, slabs are supported by beams, columns (concrete or steel), walls, or the ground. The depth of a concrete slab floor is very small compared to its span. 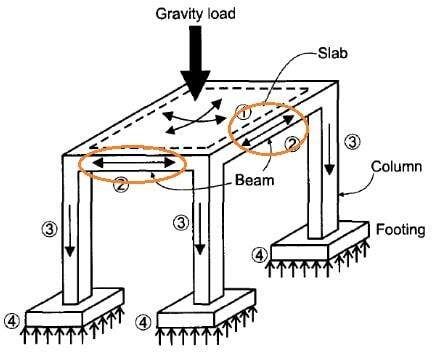 The forces transfer from slab to beams occur either in one way or in two ways. The total system completely counts on the geometrical dimensions of the slab. Slabs may be supported by columns only, in this case two way action will prevail. 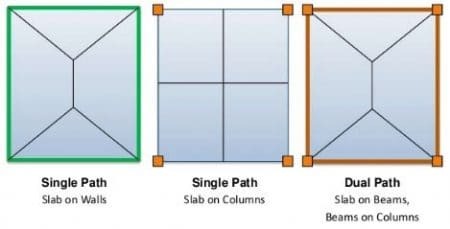 If the ratio Long side / short side < 2 it is considered as 2-way slab, and if Longer side to shorter side greater than 2 then it is considered as 1-way slab. 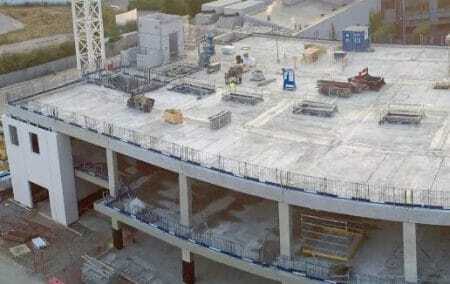 The load transfer mechanism from floor slab to supporting elements for one way slab and two way slab are shown in Fig. 2 and Fig. 3. Lastly, Fig. 4 illustrate the transfer of loads from slabs to different types of supporting elements. beam is a horizontal structural element that withstand vertical loads, shear forces and bending moments. The loads applied to the beam result in reaction forces at the support points of the beam. 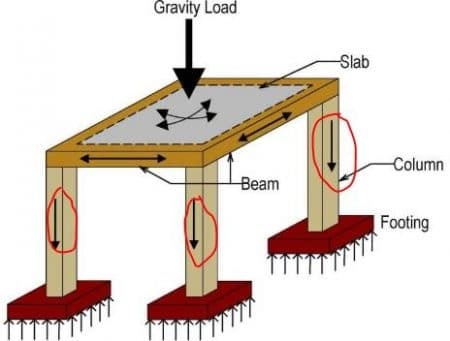 The total effect of all the forces acting on the beam is to produce shear forces and bending moment within the beam, that in turn induce internal stresses, strains and deflections of the beam. Dead load includes point load for instance column constructed on beam, distributed load for example setting slabs on a beam. They transfer loads imposed along their length to their end points where the loads are transferred to columns or any other supporting structural elements. Column is a vertical structural member that carry loads mainly in compression. It is assumed to be the most crucial structural member of a building because the safety of a building rest on the column strength. This is because failure of column would cause progressive collapse in buildings whereas such event would not occur when other members fail. 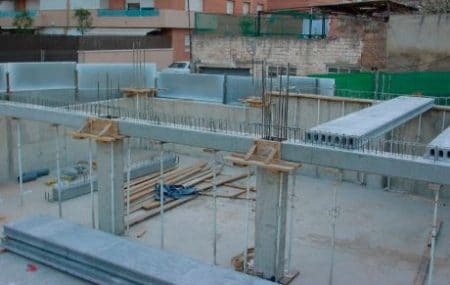 Columns transfer vertical loads from a ceiling, floor or roof slab or from a beam, to a floor or foundation. They also carry bending moments about one or both of the cross-section axes. Since the columns are supported by foundation; the load relocated from the all components to the columns. Then, it will be transferred from the column through the column necks adjacent to the footing in the form of axial force. 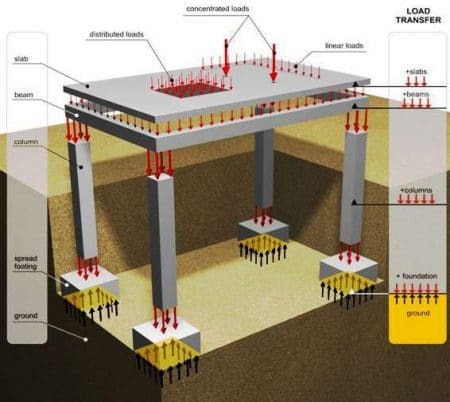 Moreover, Columns transfer lateral loads to foundations as well when such loads imposed. Lastly, It will transfer moment and shear also to the footing. Footings are structural elements that transmit load of entire superstructure to the underlying soil below the structure. Footings are designed to transmit these loads to the soil without exceeding its safe bearing capacity. 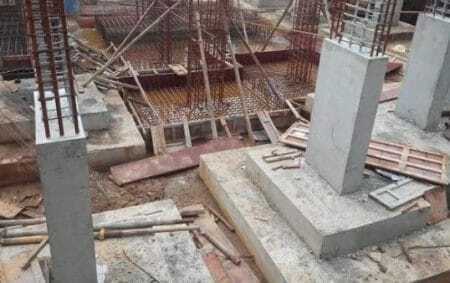 Thus, prevent excessive settlement of the structure to a tolerable limit, to minimize differential settlement, and to prevent sliding and overturning. Superimposed loads such as finishes, partitions, block work, services. Soil is the root support of the footing. All the forces that come in contact with the footings will be transferred to the soil. The soil shall bear these loads by the aspect known as bearing capacity. 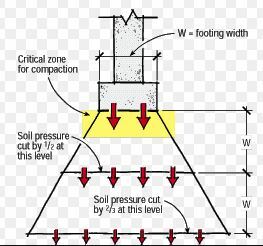 The bearing capacity changes from one type of soil to another and it is the key factor in estimating the size of footings. Madeh is a Structural Engineer who works as Assistant Lecturer in Koya University. He is the author, editor and partner at theconstructor.org.